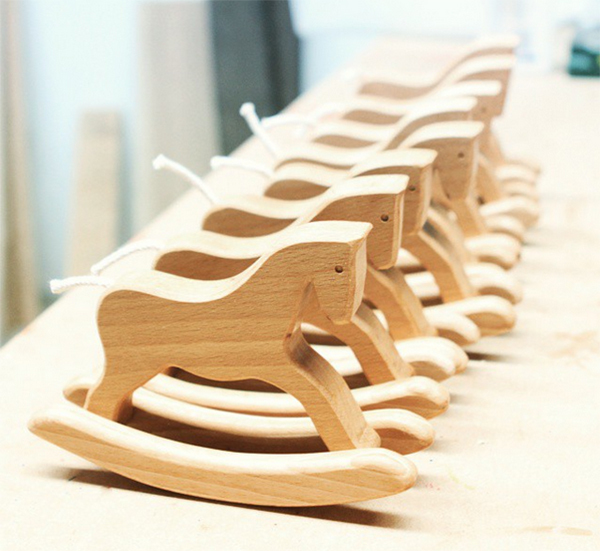 If lounge rooms must be overrun with toys, let them be beautiful ones, like the handmade wooden toys by Milton Ashby. Proudly designed and made in Australia, Milton Ashby is the labour of love of Shannon, an ex-automotive designer who started the company after struggling to find toys that were stylish, beautiful and high quality. 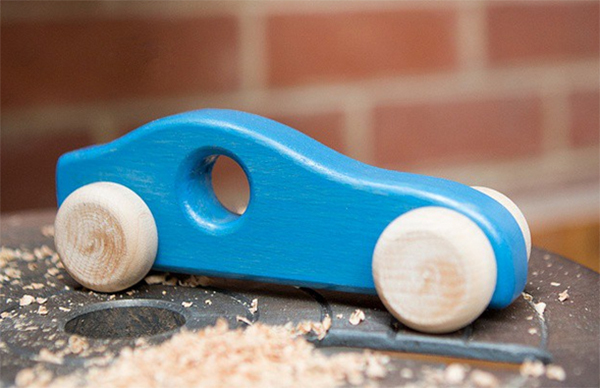 Because each toy is handmade from a unique bit of wood, they’re all a little different. For babies there are beautiful rattles ($35) in the shape of pot-bellied birds, penguins, fish or hearts. 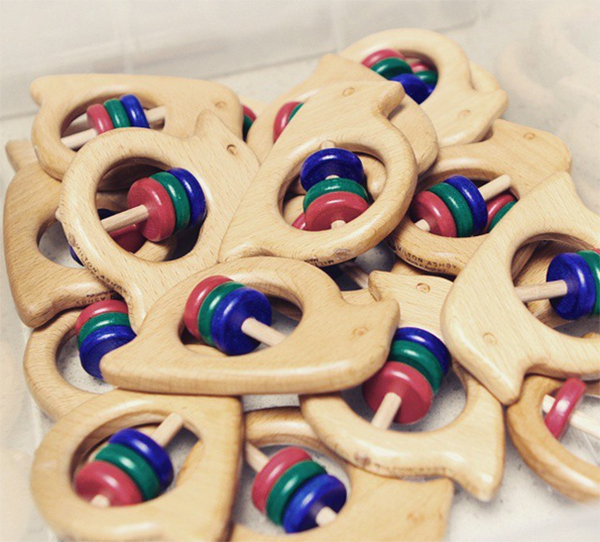 Three painted wooden rings make a pleasant rattling sound, the rattles are the perfect size for chubby hands to grab, and the wood is sanded to a satin finish so babies can use the toy to work on sore, teething gums. Toys for slightly older kids are great for imaginary play. 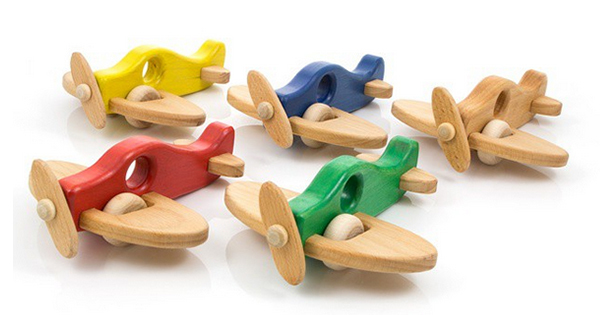 There are natural wooden elephants, rhinos or rocking horses, helicopters ($55) and aeroplanes complete with spinning propellors and wheels. 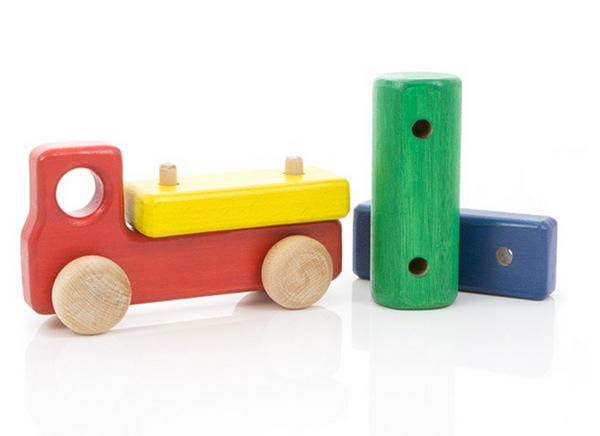 Milton Ashby toys are hardy and made with non-toxic finishes that are safe for kids. You can order them personalised with names and birthdates laser-etched on the wood, and they come in metal tins so they make a beautiful gift. Milton Ashby is at the forefront of a slow toy movement that we’re so pleased to see gaining momentum. Go to Milton Ashby to find stockists or to order online. Shipping within Australia is $7.50 fixed price.